How do leaders and team members treat each other in your workplace today? Do they interact respectfully and civilly, or aggressively and selfishly — or somewhere in between? When I ask leaders this question, they typically respond with “Well, I think they treat each other OK.” They are not confident in their perceptions because they don’t pay enough attention to the quality of workplace interactions. 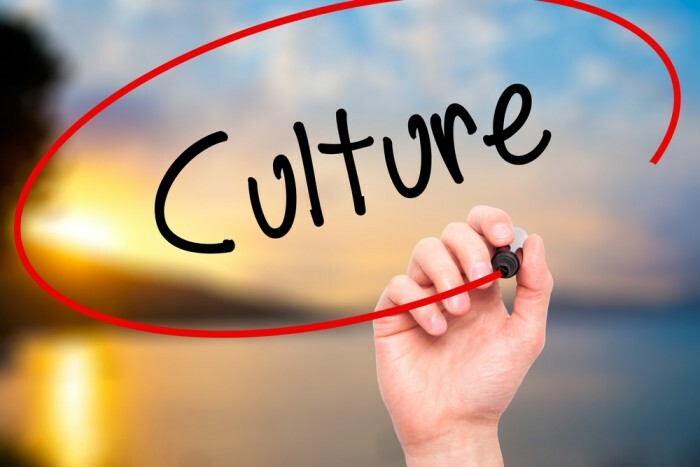 Leaders typically invest greater time and energy in their company’s products and services than they do to the quality of its culture, yet culture drives everything that happens in an organization, both good or bad. There are good reasons why leaders focus primarily on results. Most organizations began with a product or service that customers wanted. The company evolved by focusing on how to deliver those products and services efficiently and at a quality level that customers demanded. The company’s “reason for being” was to get products out the door or services delivered. Results and performance were closely monitored; they were the only metrics that mattered. From the beginning, that primary – or exclusive – focus on results was the only thing that leaders were asked to do. Don’t get me wrong; productivity and delivering on your product and service promises are hugely important, but they’re not the only important things in your business. Effective leaders know that the health of their organization’s work environment is equally as important as results. In fact, the quality of your work culture may even be more important than results. Here’s why: When employees report that they are treated daily with trust, respect, and dignity, their engagement goes up (by 40 percent or more), customer service rankings go up (by 40 percent or more), and results and profits go up (by 35 percent or more). To create an environment of trust, dignity, and respect, in every interaction, leaders have to be intentional about the quality of their work culture. Garry Ridge takes workplace culture seriously. As the president and CEO of the WD-40 Company, Garry is responsible for a multi-brand, multi-national organization that was once as siloed as you can imagine. When Garry accepted the CEO role back in 1997, command and control was an apt description of the company’s culture. Team members withheld information that could boost their peers’ success. Leaders didn’t delegate authority. Leaders micromanaged talented team members. Garry realized that if the company was to be both globally successful and a great place to work, he had to change the company’s top down, “I win, you lose” culture. Along with his leadership team, Garry created a tribal culture based on formalized values and behaviors. They made workplace respect and dignity as important as performance by measuring employee engagement every year. That engagement survey provides hard data about employee perceptions of leader effectiveness, relationship quality, promises made and kept, civil treatment in every interaction, and more. To Garry and the WD-40 Company’s leaders, their every-other-year employee engagement survey is as important a marker of the company’s success as their $340M in net sales in 2014. Many companies conduct engagement surveys, and some even do so annually. The average level of engagement in global organizations is about 30 percent. At WD-40 Company, 93 percent of global employees report they are engaged. That is triple the normal ranking! An amazing 98.7 percent of WD-40 Company employees feel they are treated with dignity and respect (!). Communication from leaders, clear expectations set by leaders, and leader dependability all score 97 percent or higher. Those are amazingly high engagement scores. Garry and his global leadership team are clearly doing many things right! Workplace dignity and respect isn’t something a leader can simply demand and then enjoy. It requires leaders to be very specific about what they expect, to communicate those expectations often, to demonstrate those expectations in every interaction themselves, and to align others’ behavior to those expectations. The first step: Define. Effective leaders define both performance standards and values standards. They then model them, coach them, praise behavior aligned with them, and redirect misaligned behavior. Values must be defined in observable, tangible, measurable terms. They must be as measurable as performance metrics. The second step: Align. Effective leaders don’t tolerate anyone mistreating others, be they peers, team members, or customers. Not even once. Workplace dignity and respect isn’t a target that once reached means “you’ve arrived” or that daily interactions will always demonstrate desired dignity and respect. People know how to be nice but too often they are not nice to each other – we see it in our polarized societies around the globe all the time. Imagine this common workplace scenario. If a team member engages in twenty conversation on a given day, and nineteen of those interactions are respectful and dignified, that’s really good. However, that one dismissive interaction, where the team member left feeling discounted and disrespected, blew it. And that player would be exactly right. Maintaining a consistently civil or even validating work environment requires constant modeling by leaders and tending by leaders. Alignment also means that you measure the degree of values alignment religiously. Just as WD-40 Company does their bi-annual engagement survey, leaders must invest time and energy in gathering employee perceptions of values, valued behaviors, and their engagement. The third step: Refine. Every other year or so, effective leaders examine their valued behaviors to see if tweaks are needed. The company’s values don’t change but the behavioral expectations just might. People might be living your current behaviors – and will do so even if you change the behaviors listed for your values. New behaviors may be needed given the demands of your business. You are leaving money on the table if your employees aren’t treated consistently with dignity and respect. There’s no time like the present to boost the quality of your work environment. Questions to ponder: What is the engagement level of employees in your company? How much time and energy do your company’s leaders invest in the quality of workplace relationships and interactions? If your company does have defined values, to what extent are they lived and measured? I welcome your thoughts, please share them below.